Asplenium caudatum | Flickr - Photo Sharing! 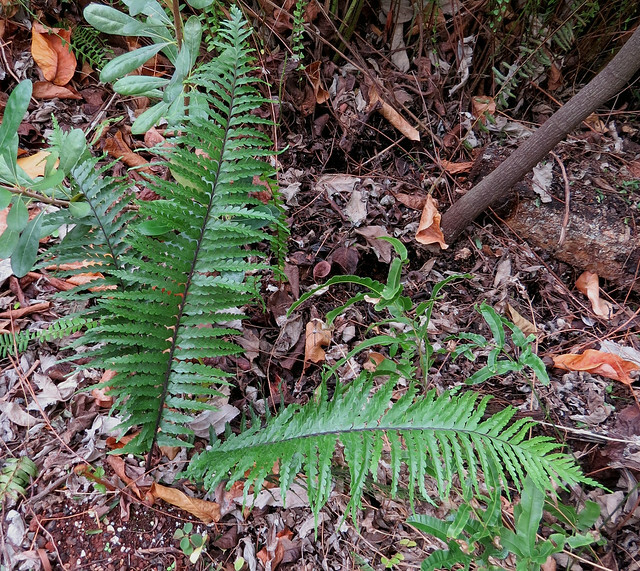 ʻIwa growing with other native plants in a "Hawaiian Fern Garden." Also pictured is the endemic Hillebrand's brake fern (Pteris hillebrandii) to the center-right to the bottom of photo. The generic name Asplenium is from the Latin asplenum, spleenwort. Ancient Greeks believed that this fern could cure spleen diseases. The specific epithet caudatum is from the Latin caudatus, produced into a tail, tailed. crush777roxx, shin ikegami, and 3 other people added this photo to their favorites.